Warbonnets are beautifully crafted feathered headdresses that represent history and incorporate Native American tradition in their designs. Most commonly seen in movies and television shows, these warbonnets have become a most well-known apparatus of Native American attire, however, not all tribes used this feathered regalia. Warbonnets were created and worn by only a dozen Indian tribes, though their history and unique appearance are what catch the attention of many. Native American warbonnets represented honor and respect among tribes. This type of headdress was primarily worn by Plains Indian men who were fierce warriors and earned their adornment. 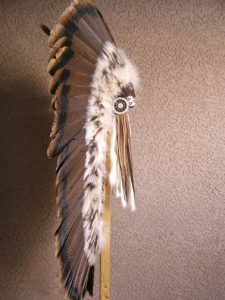 Each feather on the headdress represented an achievement, whether that be an act of bravery on the battlefield or accomplishing a great deed for one’s own tribe. The longer the feather trail, the higher ranked a man was and even though women could fight in war, they did not wear warbonnets. The feather headdresses were comprised of eagle feathers which represented the highest form of respect given an Indian warrior. Golden eagle tail feathers built these honorable headdresses and became too valuable to wear into battle. There were three types of warbonnets that a warrior used to display his acts of bravery. A halo war bonnet fanned the eagle feather out around the warrior’s face. A straight-up war bonnet took shape as its name suggests, with the eagle feathers standing straight-up, forming a taller headdress. Lastly, a trailer warbonnet had a long tail of either single or double rows of feathers leading to the ground. These warbonnets brought honor to not only the individual who wore them, but also to the tribe. 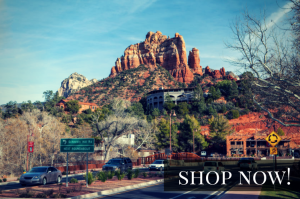 At Kachina House, we take pride in our beautiful collection of Native American headdresses. Give us a call at 866-587-0547 today to learn more about warbonnets, their stories, and other unique products available at Kachina House!